10:00 am - 12 pm: DJ, Dancing and Activities! 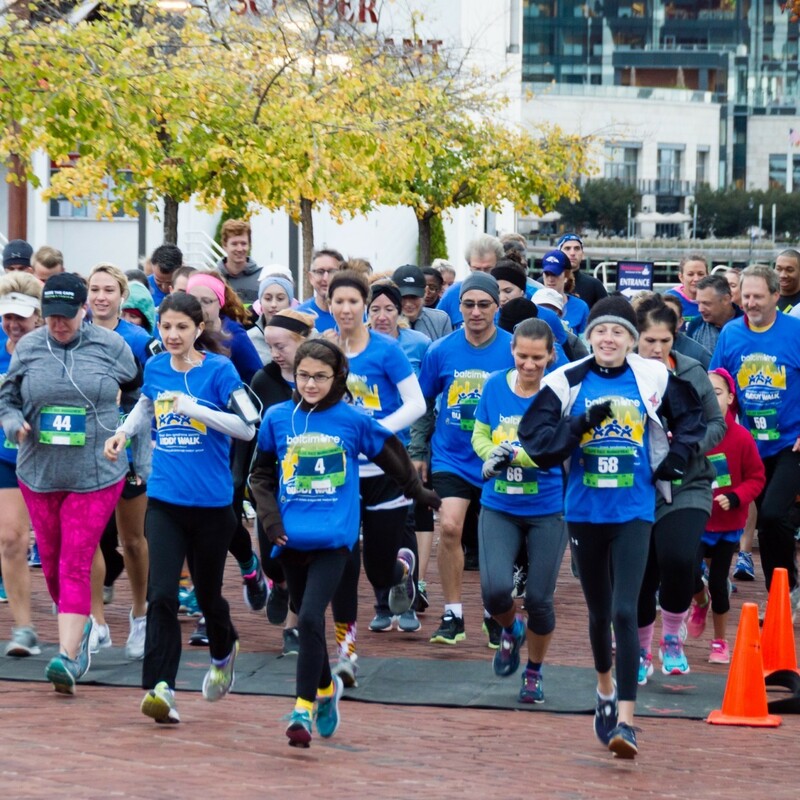 The 5th annual Baltimore Buddy Walk® and 3.21 Mile DS Celebration Run promises to be a great community event! Let’s wrap-up Down syndrome awareness month together - Join us for family entertainment, games and bounce houses, raffles, and tasty food and snacks! In addition, we have several organizations joining us with a booth at the event to provide our families with information, resources, and to show support for our community. *We are excited to be extending our 5k (3.1 mile) Run to a 3.21 Mile DS Celebration Run this year! As you may be aware, 95% of all of our friends and family who have Down Syndrome, have trisomy 21 (3 copies of the 21st chromosome). We consider this extra chromosome something extra special and something worthy of celebrating. 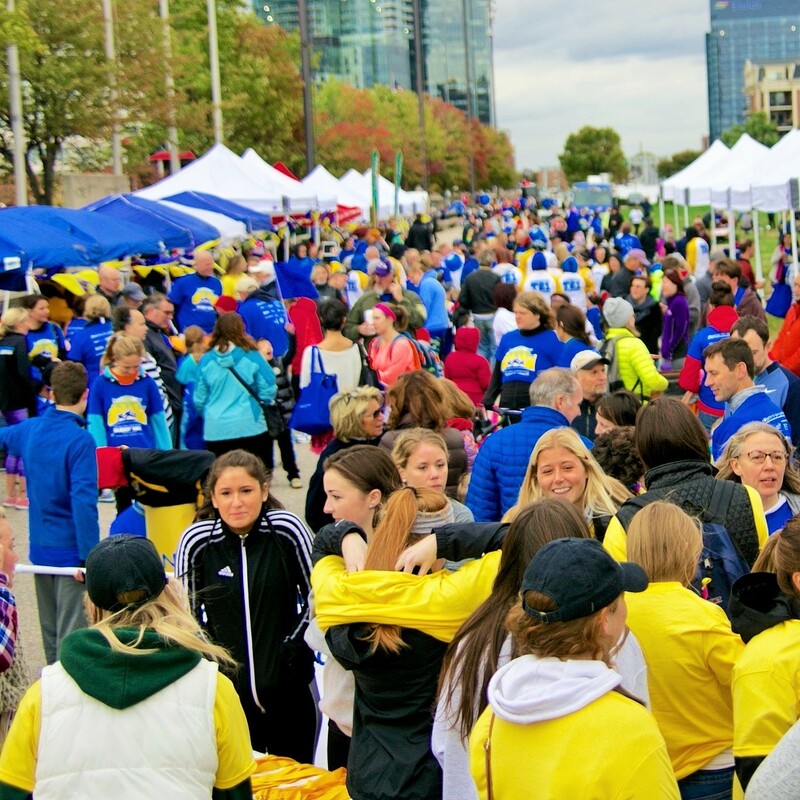 So, our runners will be able to celebrate two finishes - a normal timed 5k Run - and another special finish line for 3.21 miles! Please consider running or coming out to cheer on both finishes before the walk! Rash Field is conveniently located next to the Maryland Science Center at Baltimore’s Inner Harbor in downtown Baltimore. The address is 201 Key Hwy, Baltimore, MD 21230. The 5k Race Route is highlighted on the map in blue. The race starts near point A, going to point B and returning back to point A.